In December of 1994, Michael Kleban, the owner of a comic-book store, was shot in the back of the head while he was listening to the radio behind the counter. Damien Riley, the shooter, was 15 years old. He took $500 from the cash register and fled. Riley could never explain why he did it, saying, “The thought just popped on my mind.” A police officer caught him just a few blocks away, following a trail of money that Riley had dropped as he fled. After his arrest, Riley told law enforcement where he had tossed the gun and made a full confession. Riley explained that he paid $20 for the handgun as a way to protect himself. Life without parole was the mandatory sentence for second-degree murder at the time, so Riley went to prison without any expectation that he would be released before he died. The prosecutor asserted that the mandatory sentence was fair, and during sentencing she reminded the judge that Riley was close to 16 at the time of the shooting—had he been only a few weeks older, he would have been eligible for the death penalty. According to the prosecutors, Riley had gotten lucky. Right now, there are about 300 Louisiana inmates who are serving the penultimate sentence of life without parole for crimes committed as juveniles—but that could change. In 2012, the US Supreme Court ruled in Miller v. Alabama that automatic life-without-parole sentences were unconstitutional for people under 18. Writing the majority opinion, Justice Kagan said that condemning juveniles to prison “precludes consideration of his chronological age and its hallmark features—among them, immaturity, impetuosity, and failure to appreciate risks and consequences.” Relying on advances in brain science, the Court clearly delineated youth as a category of people who could be nourished and redeemed. Even after the Miller holding in 2012, prosecutors across the country continued to sentence children to prison for life, which remained legal as long as it was not an automatic sentence. Louisiana was especially bad: Since 2012, 62 percent of youth convicted of murder have received a life without parole sentence. One of those cases included a 15-year-old who was sentenced to life without parole in the accidental shooting death of his accomplice during a robbery gone wrong. Prosecutors appeared to be ignoring an important implication of the SCOTUS opinion: Life without parole for juveniles should be rare and reserved for the worst of the worst. Then, in 2016, SCOTUS held in Montgomery v. Louisiana that Miller applied retroactively. In other words, every recipient of mandatory life without parole would have to be resentenced or offered an opportunity for parole. Further, the holding clarified that life without parole should be reserved for the rare offender who was permanently incorrigible, a high bar that established children as a particular class of people who had certain constitutional protections when it came to criminal sentencing. SCOTUS rulings in the past have made it clear that when dealing with protected classes (like children) the “gruesomeness of a crime” could not be a decisive factor. Most lawyers have come to the conclusion that the draconian sentence should be very rare under the new doctrine. Under Louisiana law, 255 of 300 inmates sentenced as juveniles to life without parole must have hearings in order to comply with the SCOTUS rulings. But rather than taking this opportunity to ease harsh sentences, Louisiana district attorneys are seeking life-without-parole sentences for about one-third of these eligible inmates, appearing to contradict the Supreme Court’s mandate that the sentences should be rare, according to data from the Louisiana Center for Children’s Rights. Louisiana prosecutors have not just sought harsh sentences in court, but have also lobbied the legislature to scuttle reforms. 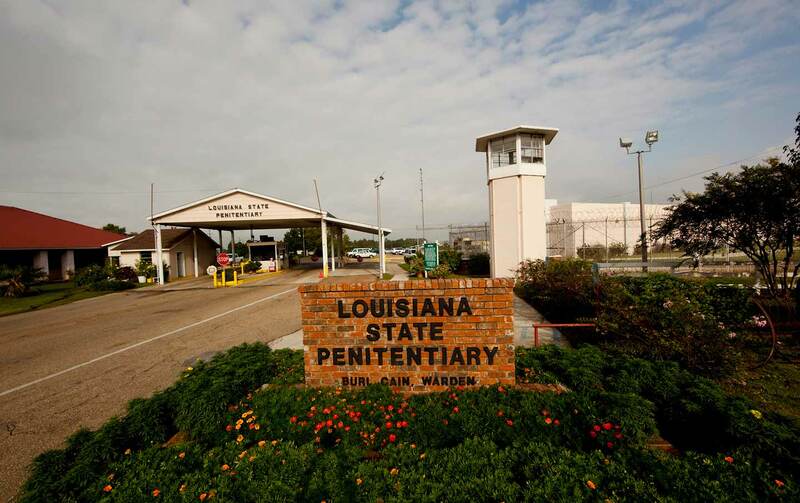 This spring, the Louisiana legislature approved a large raft of reforms designed to lighten the load of the state’s prison system and bring Louisiana more in line with other Southern states. Among those reforms were changes to juvenile life-without-parole sentences, which were designed to comply with the US Supreme Court’s mandate that life without parole should be used in only the most unusual of cases. For a while it looked as though the Louisiana legislature might successfully eliminate juvenile life without parole, making all juveniles sentenced to LWOP eligible for parole after 30 years. 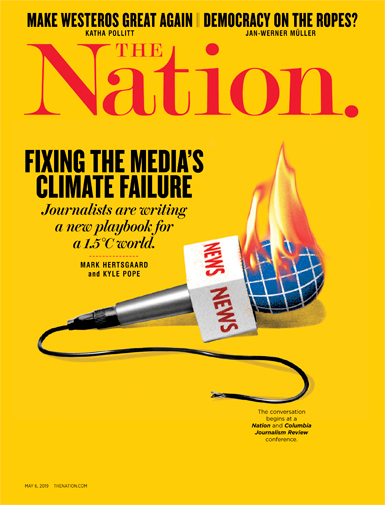 But the Louisiana District Attorney Association (LDAA) intervened at the last minute, publicly accusing the legislature of risking the safety of Lousianans. Instead, the legislature simply limited the ability of prosecutors to seek LWOP in future cases, without outlawing the punishment entirely. Furthermore, Louisiana district attorneys were permitted to seek life-without-parole sentences for those who had been previously sentenced and would otherwise be eligible for parole hearings after serving 25 years. The failed reforms have allowed harsh sentencing to continue unabated. Leon Cannizzaro, the district attorney of Orleans Parish, has sought 29 life-without-parole sentences for juveniles out of the 45 current unresolved cases. In Calcasieu Parish, the prosecutor John DeRosier is seeking life-without-parole for seven in eight. Hillar Moore, the former president of the LDAA sought life without parole again in 38 percent of the cases in his parish. And the new president of the LDAA, Ricky Babin, is seeking LWOP for four in five cases in his district. One of those defendants is 76-year-old Clifford Hampton, who was convicted of two murders in 1959 and 1962. Hampton has been in Angola Prison so long that the acting warden, Darrel Vannoy, remembers meeting Hampton during visits to relatives who worked at Angola back when Vannoy was only 12 years old. It’s worth noting that JLWOP sentences were inequitably distributed in the first place, disproportionately affecting black youth more than white youth. And in cases where LWOP is sought again, the victims of the crime are overwhelmingly white. Indeed, the choice to file for life-without-parole sentences appears to be almost arbitrary. Some defendants for whom prosecutors are seeking LWOP include elderly people and incarcerated people who were not found guilty of first-degree murder. At least 18 defendants are over 50, according to the Louisiana Center for Children’s Rights. More than half of the eligible defendants who were convicted of first-degree are being allowed to face a parole board, but many of those convicted of second-degree murder are not. Kyle Alexander, for example, was sentenced to life without parole after he was convicted of second-degree murder for a 1997 shooting involving a drug deal gone bad. He was only 15. Orleans Parish DA Cannizzaro is seeking life without parole for Clifford Braud, who, at 15, participated in the armed robbery of a grocery store. Not only did Braud have a below-average IQ, he also confessed to police after consulting only with his father. It is simply not clear that Louisiana’s prosecutors are filing against the “worst of the worst,” as mandated by the Supreme Court. The manner in which the hearings are conducted is still undetermined. Most courts and lawyers have interpreted the Supreme Court decisions to mean that the hearings should resemble those for death-penalty cases, with protracted mitigation evidence—including expert witnesses—as well as a presentation as to how the defendant in question has or can be rehabilitated, which would include a full investigation into accomplishments in prison as well as exhumation of the original facts of the case. Over the phone, New Orleans Chief Public Defender Derwyn Bunton told me that he didn’t know how those entitled to hearings would receive counsel. The legislature has not allotted any funding to provide adequate defense of those facing a hearing. “We’re trying to figure out what the hearing will look like,” he said. He estimated the costs at about $56,000 per case. Bunton’s office has previously objected to the overly burdensome caseload required of public defenders in New Orleans, a problem that is also the subject of an ongoing lawsuit. As a result, Bunton has directed public defenders not to take certain cases so as not to provide below-par services to their clients. In the case of the Montgomery hearings, Bunton emphasized that a poor defense can cause “irreparable harm” to a case. Hillar Moore, the district attorney for East Baton Rouge, has decided to seek life without parole again for Riley. But this time Riley has the chance to present the mitigating information that the judge and jury in his original trial weren’t allowed to consider.